Dr Jiabin Jia obtained his BEng (2002) in Electronics Engineering and MSc (2005) in Electrical and Electronics Engineering at Wuhan University, China. After worked one year in the Hardware R&D department of H3C Technology Co. Ltd, China, he started his PhD study supported by the ORSAS scholarship from 2006 and achieved his PhD degree in 2010 at The University of Leeds, UK. Following three years working on an EPSRC project as a Research Fellow, he was appointed as lecturer in Agile Tomography at the School of Engineering, The University of Edinburgh in 2013. 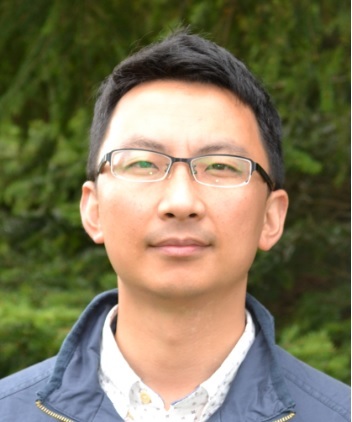 Dr Jia’s current research interest includes process tomography, multiphase flow measurement and medical imaging. His expertise is in the area of sensing physics, electronic instrumentation, process measurement and analysis. The research in Dr Jia’s laboratory takes an approach of synergistic integration of physics, modelling, optimization and design, to provide innovative sensing solutions for various challenging problems. Electrical impedance tomography (EIT) and electrical capacitance tomography (ECT) have been developed in his research to strive for both industrial and medical applications. Dr Jia has successfully applied EIT and ECT systems in two-phase flow measurement and characterization, such as water-solid measurement, gas-solid measurement. In addition, he also devotes to developing and applying a medical EIT system for brain activity imaging. Dataset of journal paper "Exploring the Potential of Electrical Impedance Tomography for Tissue Engineering Applications"
Dataset of journal paper "Electrical impedance tomography for real-time and label-free cellular viability assays of 3D tumour spheroids"